Apart from coordination and distribution of localized content within the ALL IN ONE radio network - the ZENON MEDIA COMMERCIAL EDITOR allows centralized planning of advertising for all local stations out of Agora headquarters in Warsaw. Centralized software modules like the broadcast control SEND, the database browser BROWSER, ROTATION and the audio editing software EASY EDIT were translated into POLISH for user friendliness. 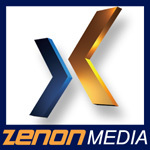 ZENON MEDIA helps to keep control in the program creation process of big radio networks.